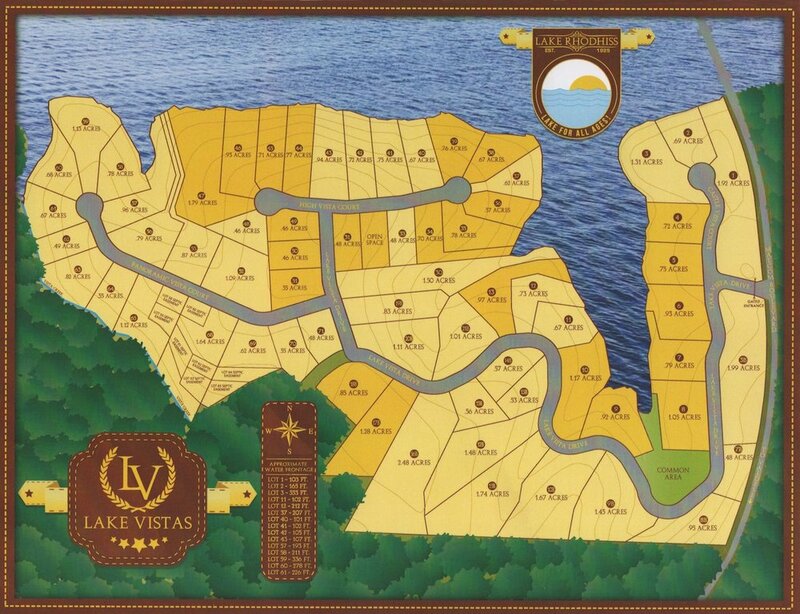 Lake Vistas is a beautiful gated community on peaceful Lake Rhodhiss. Imagine your custom-built home nestled among the trees on your 1.1 acre of land with views of the lake. This property is the combined parcels of two lots 13-B & 14-B. Enjoy canoeing, water and jet skiing, and swimming in the clear waters of Lake Rhodhiss. Homeowners can choose their own builder and style of home. House plans must be submitted and approved by Architectural Review Board. Community features include paved roads, underground utilities and security gate. Lake Rhodhiss offers 90 miles of shoreline and a surface area of approximately 3,060 acres between the counties of Burke and Caldwell. Because Lake Rhodhiss is a reliable source of water for the nearby cities of Granite Falls, Lenoir, Morganton and Valdese, Duke Energy keeps the lake levels fairly even year round. The energy company, also, provides four boat access areas and one bank fishing area in cooperation with the North Carolina Wildlife Resources Commission.